Sara Scully, Scullyone Productions is a Producer and Social Entrepreneur who has created community art centers and comprehensive film and multi-media projects for clients that build community, increase awareness, and encourage creative participation. 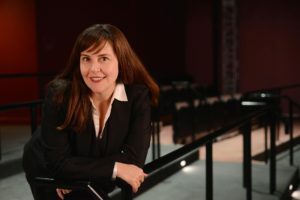 In 2008 Sara Scully founded the ACME Screening Room, an independent cinema-art space, and in 2017 co-founded and led the interior fit-out revitalization of Hopewell Theater, a dine-in music-movie and live performance venue. New Jersey Business and Industry Association awarded Hopewell Theater a New Good Neighbor Award for its revitalization. This award showcases the best of the best who turn ideas into reality and invest in communities, create jobs, and improve lives. It was also given the 2019 award for Best Commercial Interior by the National Association of the Remodeling Industry. Prior to opening arts venues, Sara Scully worked in film. Her media production credits include: educational video projects for Scholastic Publishing, New Visions for Public Schools and documentary films for cable and HBO. She also produced her own documentary in development with HBO, You Again: A Human Cloning Love Story; and a documentary short, Public Weapon, narrated by legendary activist, Kathleen Cleaver, which premiered at The Black Panther Film Festival. Sara Scully is a graduate of Bard College. She received a merit scholarship and graduate teaching fellowship from Tufts University, where she completed her Masters Degree in History in 1998. In her spare time she enjoys making art, gardening and community volunteer work.